Classic Solitaire 2019 is the #1 klondike solitaire games on android. Classic Solitaire 2019 is the #1 klondike solitaire games on android. The Classic Solitaire is popular and classic card games you know and love. We carefully designed a fresh Classic Solitaire modern look, woven into the wonderful solitaire classic feel that everyone loves. 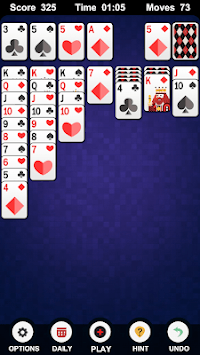 Classic Solitaire 2019 is called sometimes by the generic name 'Solitaire', for example a famous Microsoft's Solitaire is actually Klondike Solitaire. 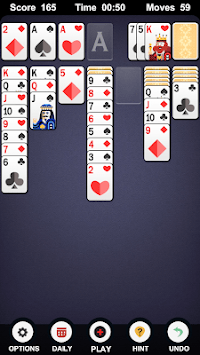 This is probably the most popular solitaire games in the world. 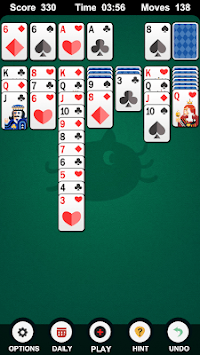 Classic Solitaire 2019 uses one deck (52 cards). Twenty-eight cards are dealt from the deck into the 7 tableau piles with the number of cards per pile increasing from one to seven from left to right. The top card is face up, the rest face down.